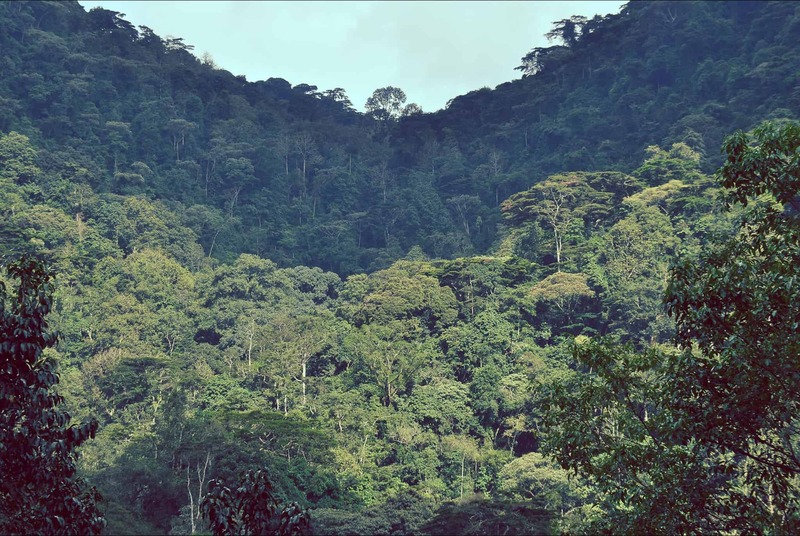 At the edge of the Albertine rift in South Western Uganda lies the vast and misty Bwindi impenetrable forest which stretches over a formation of steep mountains. This ancient pristine forest is home to families of formidable mountain gorillas that we will encounter within this 9-day adventure. Our expedition will bring us into the homes of energetic chimps in Kibale forest and draw us to the most scenic park in Uganda. Upon your arrival, you will be welcomed by your safari guide/driver, who will transfer you to your booked accommodation. After a sumptuous breakfast in Kampala, we drive west, taking in the scenic views as we head to Fort Portal, a beautiful town nestled in the shadow of the “Mountains of the Moon.” Enjoy a short respite in this charming town before moving on to the idyllic formations of the crater lakes. From Fort Portal, we set a course for the thriving forest of Kibale National Park, where we turn in for the night at our booked safari lodge. The evergreen Kibale Forest holds the widest variety and highest concentration of primates in East Africa. On a guided nature walk, we encounter wild chimpanzee, red-tailed monkeys, black-and-white colobus monkeys and more. 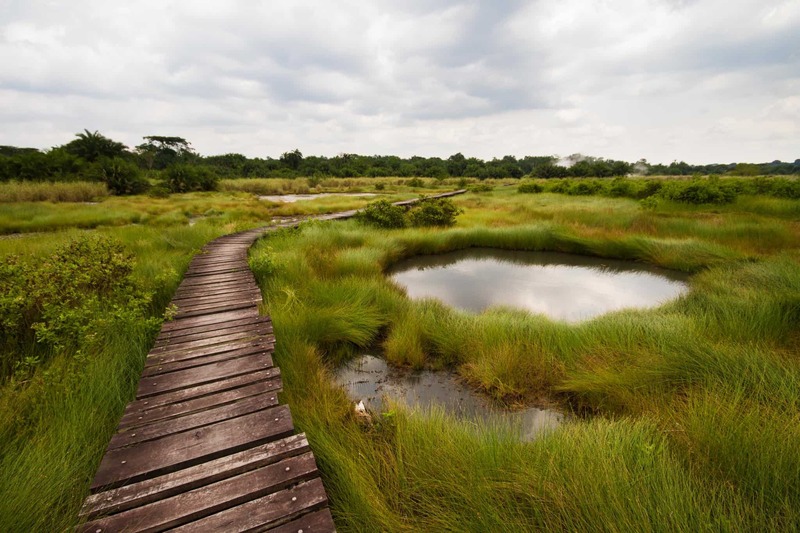 We return to our lodge for lunch and later set out to Bigodi Swamp, an ideal place for bird lovers. After a satisfying day of exploration, we return to our lodge in time for dinner. We check out of our lodge and head out for a brief tour at Lake Nkuruba, where we will see magnificent views of the vibrant crater lakes, cradled in vegetation and gentle hills. After lunch, we head toward the popular Queen Elizabeth National Park just in time for an evening game drive. We hope to see warthogs, buffalo, waterbucks and elephants before checking in for a night of comfort at Bush lodge. The crisp morning opens with a game drive to seek out various animals; this is a great opportunity for wildlife sightings as animals tend to be more active in the wee hours. We return from our adventure in the beautiful savannah to some much-needed relaxation and lunch before we head out on an afternoon boat cruise along Kazinga Channel. Hippos, crocodiles, and other mammals, reptiles, and birds congregate at the shores in the afternoon heat. We will drive to the crater lakes and take in the scenic views before returning to the lodge in time for dinner. Today we depart from Queen Elizabeth, but not before attempting to set eyes on the tree climbing lions of Ishasha. We cross stunning landscapes to reach Bwindi National Park, where we will seek out another rare creature, the mountain gorilla. After breakfast, we set out for a briefing at the park offices where we are allocated gorilla tracking groups and given tips in preparation for a close encounter with the gentle giants. 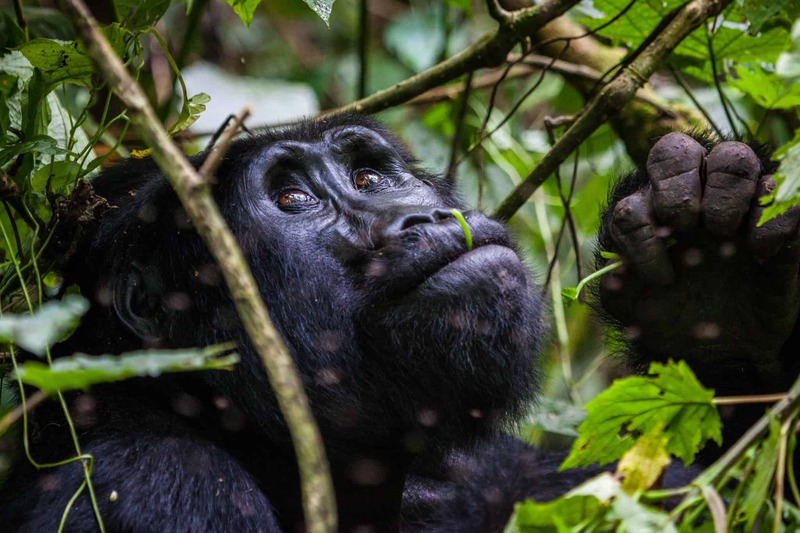 Guided by an experienced tracker, we brave a challenging trek through Bwindi Impenetrable Forest; it may take minutes or hours of pushing through vegetation before we set our eyes on a colossal dominant silverback male and his group. Upon return from the deep forest, you will receive your gorilla tracking certificate, and later, after refreshing at the lodge, set out for a community walk, a charming experience with the local people and a closer look into their culture. After a fun-filled adventure of seven days, we check out of the lodge and begin our journey to a preferred drop off point in Kampala/Entebbe. Our first stop will be in Mbarara for lunch and last stop at the Uganda Equator for pictures and shopping for various souvenirs or gifts for friends and family. Note: You can choose to add another day or two and head into the Mufumbira Mountain Ranges, home to the famed Golden Monkeys.